Products, Service, Knowledge We are Universal Oil Since 1877, Universal Oil has been supplying premium fuel and lubricants to Northeast Ohio. As an employee owned company, we continue to build on our core values and strive for excellence every day to create “five-star” experiences for our customers. 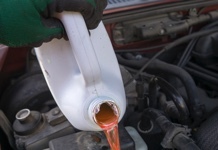 We offer on/off road diesel with performance additives, regular unleaded gasoline, as well as Kerosene. Our team creates custom industrial lubricants blended to meet your specifications, featuring Phillips66 and Universal Oil brand lubricants. 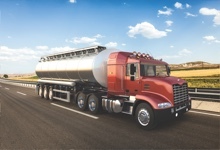 We have a complete line of antifreeze products from conventional to heavy duty to meet your needs. 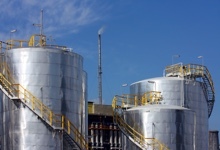 ​Universal Oil provides API certified DEF ensuring optimum Selective Catalytic Reduction (SCR) system performance. Our state of the art blending facility manufactures high quality and reliable industrial lubricants. On/off road diesel and regular unleaded gasoline are available to fill up at your convenience. We guarantee our customers 48-hour delivery with any in stock or blended product. Featuring Coast Guard approved drivers and equipment that allows any vessel to be filled 24/7. Our oil analysis program keeps your equipment running longer and extends drain intervals for optimized performance. Universal Oil provides qualified full-time service technicians to help maintain or repair our equipment in the field. 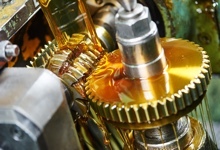 ​Our trained professionals come to your facility to ensure proper industrial lubricants are being used for maximized efficiency. Universal Oil services a diverse set of industries. We are continually working to provide the best service possible and cover all of the fuel and lubricant needs these industries require. Universal Oil proudly features Phillips66 Lubricants, Kendall Motor Oil and Universal Brand Lubricants to give you a wide range of options to meet your complex needs.